Edmonton Oilers forward Connor McDavid has been cleared for full contact and has slated February 2 as the date for his return to NHL action. 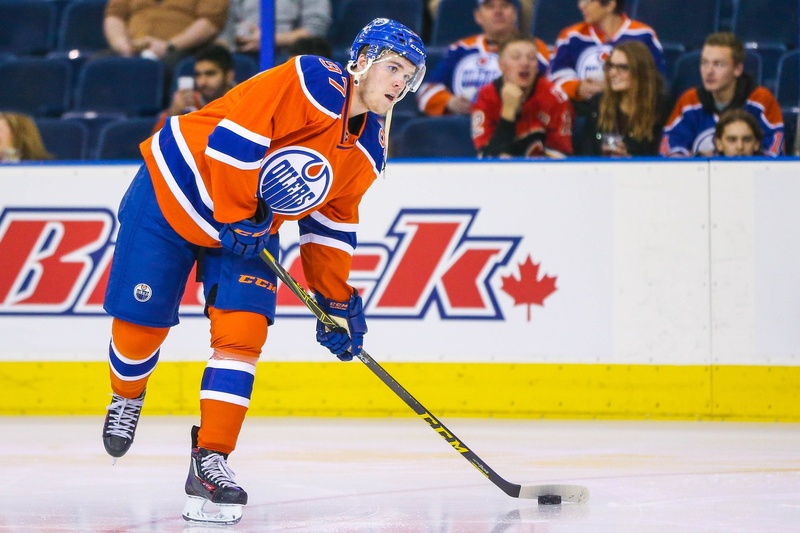 The announcement was made on Sunday, with McDavid set to skate with the AHL’s Bakersfield Condors during the upcoming All-Star break. The 19-year-old isn’t expected to play in any minor league games, but he will take part in full contact practices. McDavid has been on the shelf since November 3 of last year. He fractured his left clavicle in a game against the Philadelphia Flyers. The Oilers currently sit with a 19-26-5 record, good for seventh in the Pacific Division. In 13 games, McDavid has 12 points. That means he’s scoring an average of .92 points per game, which means he’s stop on top of all rookies with that stat. Chicago’s Artemi Panarin is scoring an average of .88 points per game, to put things in perspective. But Panarin currently has 45 points, including 16 goals, and that puts him head and shoulders above the other rookies. Detroit’s Dylan Larkin and Arizona’s Max Domi both have 32 points, with Larkin’s 15 goals giving Panarin a run for his money. McDavid will have a lot of work to do if he wants to get back in the Calder Trophy hunt, but it’s not impossible. The Oilers have 32 games to go, which means he could reasonably put together another 30 points at least. And if he pushes the likes of Domi and Buffalo’s Jack Eichel even a little bit, McDavid could pick up some of those “storybook season” votes for overcoming adversity in his first year. Speculation aside, this is great news for the Edmonton Oilers. The return of McDavid should give them the boost they’ve been desperately seeking, with a boost to the power play just one part of what this generational talent brings to the franchise. Mark your calendars, kids. This just got interesting.